Autumn has returned to the Gulf Coast. I hope it lasts this time! I survived Halloween weekend. Yes, that’s worth noting. There are two candy-monsters under the age of four in my house. (The oldest child only likes suckers—yes, an actual perk of his sensory/eating issues.) We did a church sponsored fall event Friday night and then went to a local family attraction for trick-or-treating Saturday evening. Plus my husband brought the boys to a few houses in his friends’ neighborhood on the way home. It’s more than I’ve ever done for Halloween. I never went trick-or-treating as a child, and I turned out normal… well, sort of… The neighborhood in California I spent most of the first 14 years of my life was the highest street on a hill—considered a mountain to some people. The deal was us kids got the leftover trick-or-treat candy so we picked out the good stuff at the store. I think eight kids is the most we ever got at our house, and that only happened once. 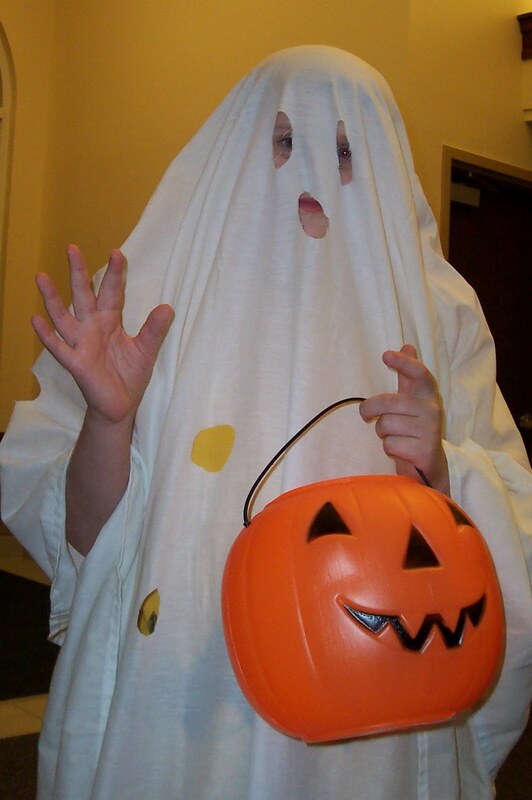 I did wear costumes to school and since we got the big bowl of candy at the end of the evening I never had a desire to take my shy self “door-to-door scabbing” as I liked to call it. I’m pretty sure all my siblings went trick-or-treating with their friends at least once, though. My favorite Halloween memory is from the home I lived in when I was in college. The house had a balcony across the front and you had to walk under the balcony to reach the front door. I spread a dark sheet across the second story railing and blew bubbles for trick-or-treatsters. It was challenging to time it right so the bubbles were at face level when they turned to leave. By then I’d be crouched down so they couldn’t see me. The kids loved it—it brought smiles instead of scares, though it did startle some people at first. Good clean fun. Love the weather but Halloween is a take-it-or-leave-it in my books. National Dress Like a Freak Day… maybe I could get excited about that. In the past twenty years I’ve only dressed up twice. Unless you count being a frazzled mother as a scary costume. Last week I added two and a half pages to the first draft I’ve been working on for an extended amount of time (it’s embarrassing to say how long). That’s two pages more than the past several weeks combined. I joined a critique group last month and I figured I’d have an easy ride the first few months since I had four completed chapters. When I submitted the second chapter to the group last week I realized I’ve used half my reserves. It took me an insane amount of time to get those forty-odd pages and I realized I need to get my fingers in gear so I don’t look like a total washout with nothing to submit in another month. I want to work on my novel at least four days a week. My goal is a completed first draft by my next birthday. If I keep to my minimum for four serious days a week (even if it’s just fifteen minutes a day) I’ll reach my goal with time to spare. Since I have three freakazoids running around the house I’ll probably need to use that spare time. On September eighth I urged everyone to write their senators in regards to mandatory vaccines. I am happy to report that Senator Richard Shelby of Alabama responded to my letter. Part of his closing remarks are “Rest assured, I do not and will not support mandatory vaccination.” Let’s hold him, and any other politician who claims such, accountable to that statement. Have You Written Your Senator? I subscribe to the “Ask Dr. Sears” e-newsletter. In the newsletter last week the following link was listed in the vaccine information section. Vaccines are a hot button topic for me. I’m not anti-vaccine, but I’m anti-mandatory vaccines. I believe parents and the children’s personal doctors know what’s best for each child. I don’t think there should be a one-size-fits-all schedule for shots. And the thought of my children being taken away from me (for not following guidelines by people who have never seen my children’s medical records) is about the scariest thing imaginable. Following Dr. Sears’ advice, I’ve sent my senators the following letter and urge you all to do the same. I have no issues administering the older, established vaccines on an adjusted schedule for my young children but I believe it is in my family’s best interest to pass on a vaccine that is so new, without a track record of long term side effects. Freedom of choice has made our country great. I hope that you will speak out against mandatory vaccinations which have the possibility to tear local families apart in the general interest of safe guarding the country at large for a flu that is inherently no more dangerous than any other flu that sweeps the nation each season. Please keep our freedom of choice open and never allow vaccines to be mandatory.